Cyprus Credit Union offers a wide range of mortgage options to assist our members in buying a home. Our programs cover every option from the first time buyer to a seasoned real estate investor. In this post, we’ll learn more about Federal Housing Administration loans, also known as FHA loans. These types of loans are insured by the Federal Housing Administration. This means that, as your lender, we can offer you a better deal. Not all financial institutions offer an FHA option, so click HERE to find a lender. This is a popular option for many first time home buyers. > FHA loans also allow for the seller to pay for most of the buyer’s closing costs. This includes items such as title expenses, home appraisal, and a credit report. Borrowers on this loan can use cash gifts from eligible family members or grants for the down payment. Two types of mortgage insurance are required on FHA loans. The first is upfront mortgage insurance premium (UFMIP). This is a one-time payment which is equivalent to 1.75% of the loan. It can either be paid upfront as the title entails or can be rolled into the mortgage. 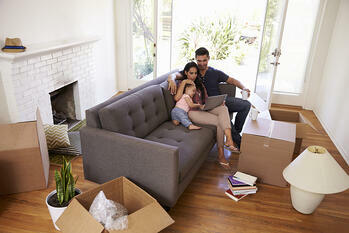 The second is your annual mortgage insurance premium (MIP). This premium is a monthly charge that is automatically included with your payments. The length of time you will have to make these payments depends on your payback term and loan-to-value ratio. If you would like to learn more about FHA loans, contact one of our advisors at (801) 260-7600 ext. 5340 or send a message to mortgages@cypruscu.com. You can also set up an appointment HERE. If you want to learn more about our construction and lot loans, click HERE.